Weather all over the place today, started off snowing, everywhere still white, horrible cold North East wind gusting to 20mph, then driving rain, then dry… And on top of that a big thaw with a huge amount of snowmelt. The water was icy cold, and was it not for the wind I’m sure it would have frozen over. Not much to report on the fishing front but ultimately down to the poor weather. 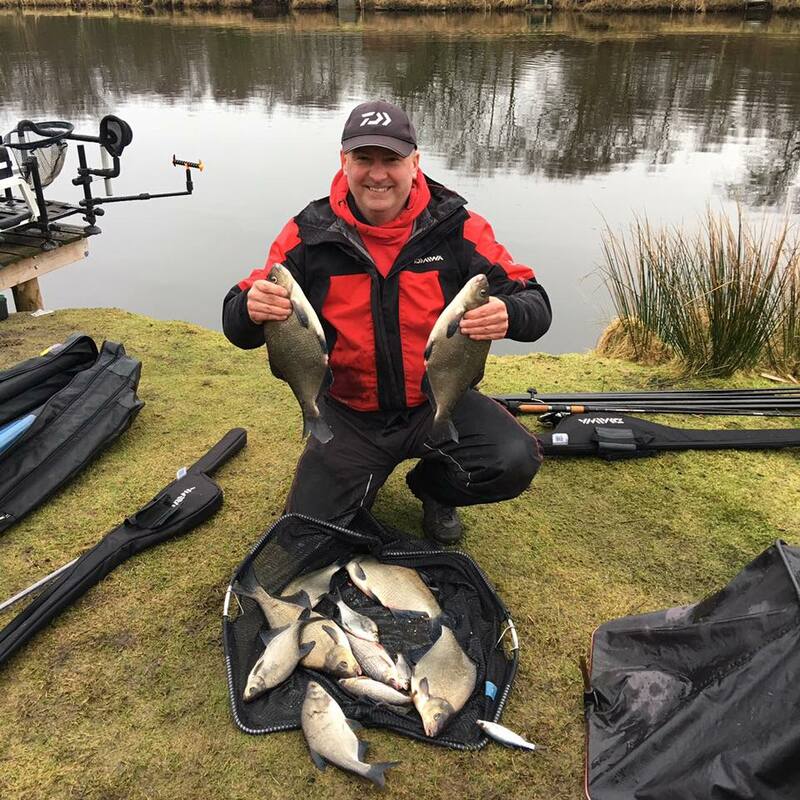 Four of the anglers, which included some of Brooms most consistent, didn’t manage a single bite which tells the story of just how tough it was. Steve Royle on peg 20 which has been framing consistently of late, was one of the four not to get a bite. How it changes from one week to the next….! Of course, there were odd fish caught, and those that were fell to the tip rod and cage feeder. 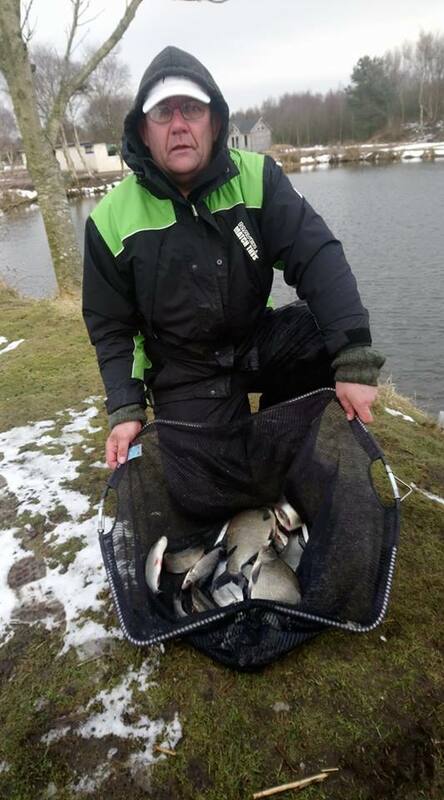 Bream and roach made up the nets of fish, with Don Lines running out a clear winner with 8lbs 6oz. Second place was extremely close with Geoff Whittle beating Darrin Ferguson by a mere 2oz to take the runner-up envelope. Sometimes I have to question my sanity as well as everyone else’s when we sit out on days like this, so hats off to all the hardy souls who braved a real grueller of a day.